Video Figures are supplementary material of your submission and illustrate the key aspects of the work you submitted to a venue (such as Papers). They usually last up to 5 minutes, and whether they are mandatory or optional depends on each venue. 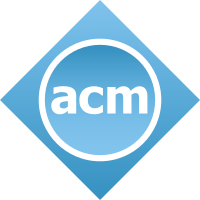 Video Figures of accepted submissions are archived in the ACM Digital Library as part of their associated publication. Note: Originally, this page stated that a 5 minute Video Figure could be submitted with accepted Late Breaking Work submissions. This is not the case. A 5 minute Video Figure will not appear in the ACM Digital Library for LBW papers. Important: Encode your video using square pixels for the pixel aspect ratio to avoid your movie looking stretched when projected. If you compress your video with unusual software or codecs you risk the possibility that reviewers will not be able to watch your video, and it may need to be re-encoded for the ACM Digital Library. CHI does not accept software applications or digital video clips requiring a specific computing platform or additional software to play. Before submitting, we also invite you to check the compliance of your file using the CHI Video Checker. You can also upload your video to Youtube (private) and check that it plays correctly.